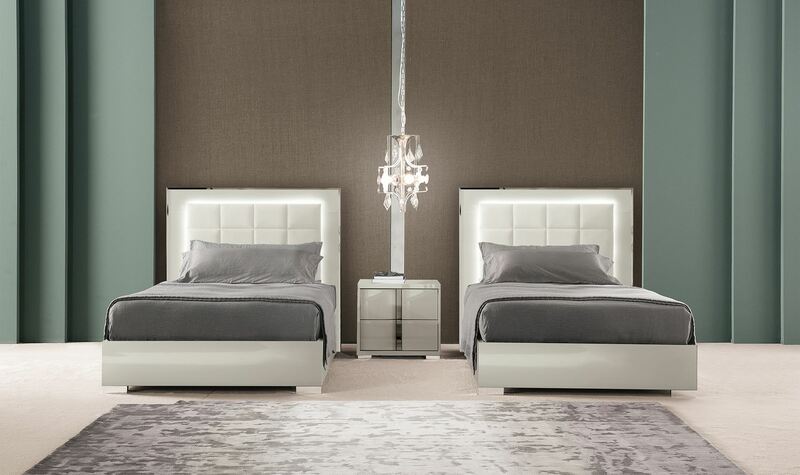 Timeless and pure contemporary style define the Imperia Bedroom Collection by ALF Italia. Crafted in high gloss and polished white lacquer, and accented with polished chrome reveals. 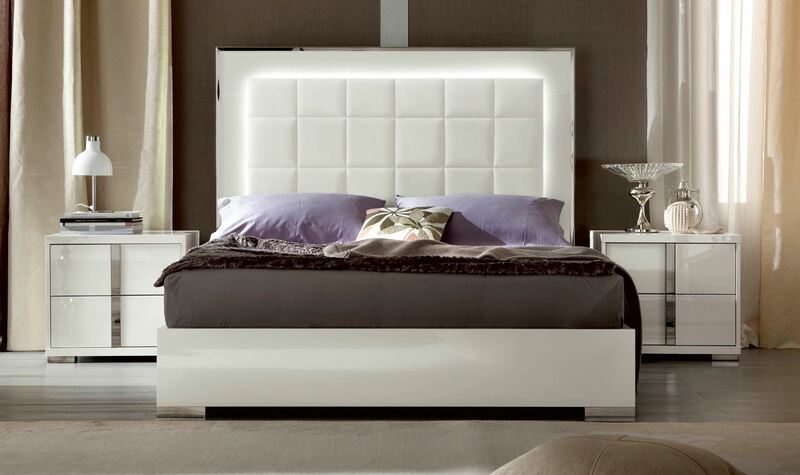 The headboard features a leather panel that is surrounded by hidden LED lights. All cabinets feature soft closing drawer glides. The beds in the Imperia collection are designed to utilize a box spring and mattress. 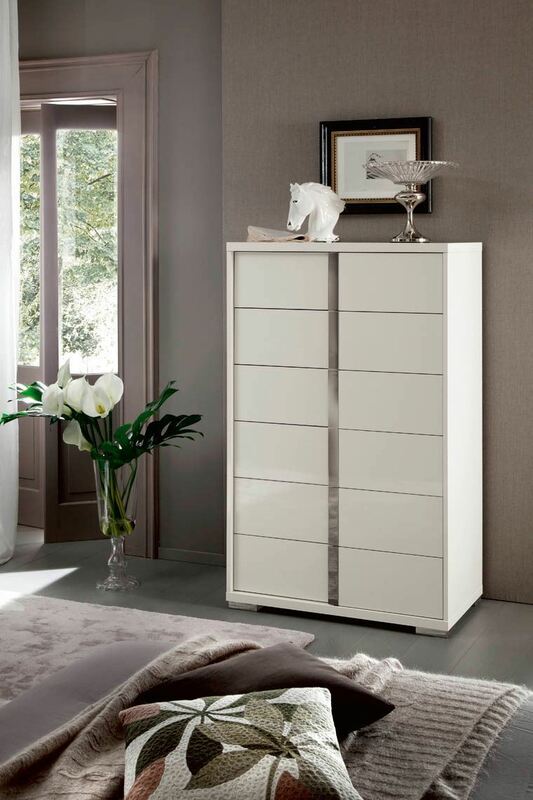 The Imperia Tall Chest of Drawers, by ALF Italia. Timeless and pure contemporary style define the Imperia Bedroom Collection by ALF Italia. Crafted in high gloss and polished white lacquer, and accented with polished chrome reveals. The six drawers feature soft closing drawer glides. Beautiful polished chrome accents adorn this beautiful tall chest. The ALF Imperia Three Drawer Dresser. 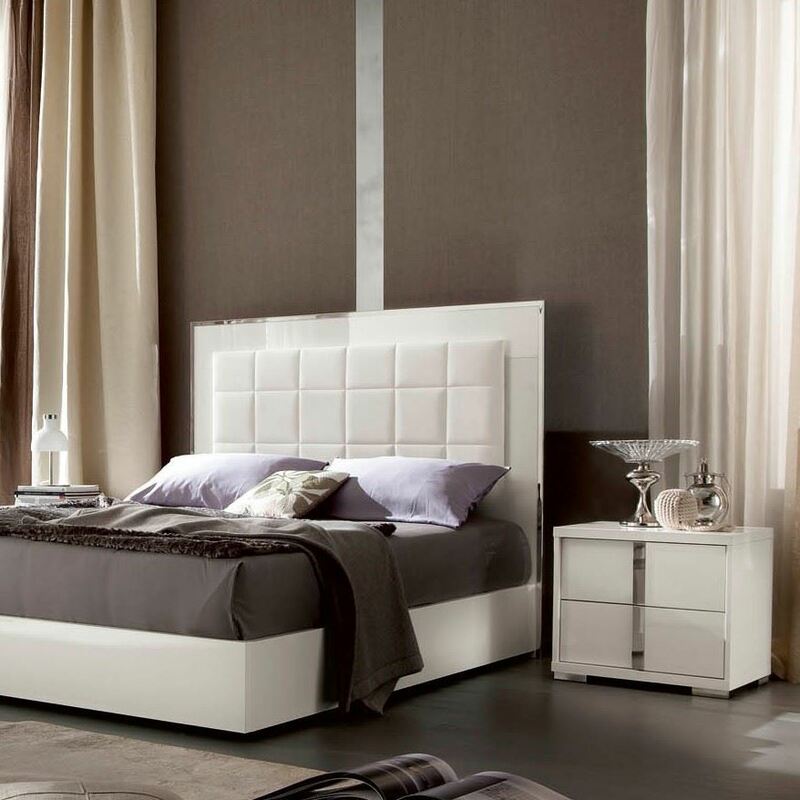 Timeless and pure contemporary style define the Imperia Bedroom Collection by ALF Italia. 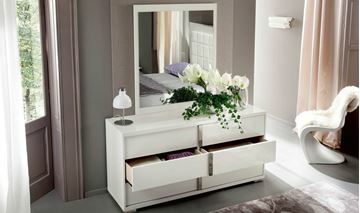 The dresser is crafted in high gloss and polished white lacquer, and accented with polished chrome reveals. The drawers feature soft closing glides. The drawers feature a unique center split design, which actually crates six drawers.